PMS stands for Provincial Management Service. 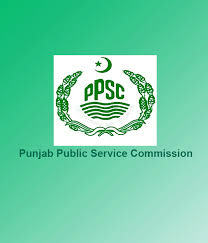 It is a competitive type of test held by all four provinces under the commission of Provincial Public Service Commission (PPSC). The basic purpose of this type of test is the provision of posts for different departments of regional government. It came into existence in 2014 in order to enhance improvement in the service structure of bureaucracy. The candidates who are successfully passed in the Provincial Management Services Test will directly appoint on Grade 17 as per notified in Service Rules known as PMS Rule 2004. The PMS Officer performs their duties at Tehsil, District, Division and Provincial Level. 50% of the post of Provincial Management Service PMS in BPS 17 are reserved for fresh candidates and rest of the 50% is distributed among ministerial staff and Tehsildars. the below given are some aspects relate to PMS Stands For In Pakistan. PMS is comprised of 1200 marks which are further divided into two sections that ie 600 marks for compulsory subject and rest of the 600 marks for elective subjects and viva voce is comprised of 200 marks. It was held when PMS post are available the eligible qualification for appearing in PMS is minimum graduation with 2nd division. The interested candidate’s age must be lies in between 18 to 28 years for both male and female. Successful candidates are elected on some of the PMS posts mention above. Hope now you understand PMS Stands For In Pakistan.